Part 4: Is the timing right? 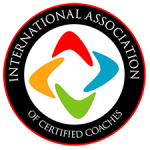 What if I told you the complimentary session was simply a formality to getting an already genuinely interested, ideal client to commit to a coaching relationship? For the past few weeks, I’ve been talking about how you can use complimentary sessions to build your coaching practice. Many coaches use them, only they’re not using them that effectively. I understand if the goal of a free session is just getting practice, but hopefully you’re done practicing after the first month. Following that first month, the goal of the complimentary session has to be on getting clients. So how do we get more than 50% of complimentary sessions to convert to real, paying clients? Well, once you’ve found an ideal client, you must pre-qualify them before you ever sit down with them in a complimentary session, and it’s actually really easy to do if you ask the right questions. By “pre-qualifying,” I mean you are determining that conditions are favorable for the individual to begin a coaching relationship with you. To not qualify, isn’t a knock on the person. If an individual doesn’t qualify, I simply mean that the conditions aren’t ideal right now for them to begin a coaching relationship with you. Those conditions could change a month, 6 months, or a year down the road. But it’s helpful for you, as a coach, to determine this before giving a session away for free. If you’re going to give a session for free, you need to be able to justify that utilization of your time. It makes sense to give a complimentary session if there’s a high percentage of chance that they’re going to become a client after the session. If there is not a high percentage of chance, then there’s no reason to do a complimentary session. If you pre-qualify people well, you are increasing the possibility that they’ll sign with you. As I see it, the complimentary session should simply be the last box to check (a mere formality) before a client signs an agreement to work with you. We show our coaches in our Jumpstart Your Coaching Practice program how to do an “Explosive First Coaching Session” that shows the potential client the power of coaching and convinces them of their ability to help them get to their solution. There are 4 pre-qualifying questions that I recommend to ensure you’re not just spinning your wheels when you give a free session. PRE-QUALIFYING QUESTION #1: What do you want? “What do you want?” is a really important fundamental question. After all, why would an individual want to be coached if there isn’t a need or a strong desire? If the strong desire is unclear, then there’s no reason for them to hire a coach, so why would you give them a complimentary session? Honestly, there are some people who really aren’t in touch with a strong desire in their lives. They don’t know what they want. Now, maybe that’s the goal: “I want to discover what I want for my life.” That can be qualifier for coaching an individual, but you must ask the question and get really clear on what they want. PRE-QUALIFYING QUESTION #2: On a scale of 1-10, with 10 being the highest, how critical is it that you go after this desire right now? This is has HUGE importance. Another way you can see this is “pain point.” When I say “pain point,” I’m not talking about an individual who needs healing, I’m talking about an individual who wants something so bad it hurts. Simply put, we need an ideal client who’s come to the end of their tolerance for what’s missing in their life. When I ask this question of a potential client, I want them to give me an answer of 8 or higher. Why 8 or higher? Because a number of 7 or below means that they’re probably uncomfortable with their current state of affairs, but not uncomfortable enough to do something about it. People will complain about their jobs, complain about where they live, complain about lack in their relationships or any number of areas about their lives. If you were to ask them: “What could you do about it?” They can tell you exactly what they could do about it, but, for some reason, they just won’t commit to working on it. This is the craziest thing: they often know what they could do or even should do, but they are simply don’t want it bad enough. There is usually some payoff that still exists which keeps them where they are. I’ve literally helped nearly 20,000 people at any level of starting their coaching career. Often, they know that helping people is their passion, and their current job is not. I know, based on Gallup’s polling, that 85% of people hate their jobs. But, even people who desire to be coaches, who want a career in helping people take bold steps in their lives, often are still willing to tolerate languishing in a job that isn’t rewarding personally and doesn’t cut it financially. Because there’s still a payoff. The job they are in doesn’t get them to where they want to go, but it provides just enough security, it pays just enough of the bills, etc. to keep them there. And they will stay there…until the pain level – the “I want it so badly” – gets high enough that they’ll make the change. I would never give a free session to someone who doesn’t have a pain point at 6 or lower. I would never give a free session to someone who doesn’t have a pain point at 6 or lower. For me, the readiness factor is too low, and I value my time too much to give them that session. What I will do is stay in touch with that person – email, texts, etc. – some light touches to let them know that I’m here, but I’m going to allow that person to marinate. I’m not in the least worried they are going to work with another coach. In fact, if they got a free session from another coach, I’m certain they’re not going to work with them. A person on a level of a “7” is still straddling the fence a bit. Now, for me, I have full confidence in my ability as a coach to push them from a 7 to an 8 during a complimentary session. So I would take a 7. But a new coach who isn’t comfortable in their skin yet may not be as confident. I think an 8 or higher is an individual who a coach has a better than 50% chance of signing as a client.